This article is a very brief and introductory piece: there are lots of entire books and courses both online and agencies about modelling. This is just to give you a few ideas. Well, then, you probably could. Somebody out there would be overjoyed to take your picture. More than one somebody. I absolutely, positively guarantee it. If you’re passionate and dedicated, chances are there is someone who would love to work with you. Don’t let the fact that you may not have supermodel stats deter you. Instead of focusing on your insecurities, focus on what makes you special and learn to play up your best assets. There is an audience for nearly every body type, hair colour, and unique look, so give it a go! The other important thing which many people don’t know about modeling is that it is a job. It’s hard work! You have to act professional, even if you’re just an amateur, or you will quickly find that there are no shoots for you. You have to show up when you say you will, you have to stay as long as it takes to get the job done, and you have to be able to take direction well (and PLEASE, all prospective models – Show up ON TIME! I CAN’T STRESS THIS ENOUGH!). You need patience, show humour, and enthusiasm. If you’re easily bored, don’t like being told what to do – although of course you don’t have to be a doormat – or can’t display animation and interest when you’d actually rather be home in bed, then forget about modelling. It can be great fun, it can be very rewarding. Most of the photographers and models I’ve met have been wonderful people and I’ve enjoyed being around them. But you have to be able to deal with the parts where it’s not fun, not rewarding, and you’re doing TFP or low hourly rate work to get experience, pay your dues and build your portfolio and smile, smile, smile! If you can’t do that, then forget about modeling. But if you can continue, then ROCK ON! First, the bad news. Some types of modeling do have pretty rigorous requirements. For instance, runway fashion models need to be tall and preferably slender. If you’re not at least 5’7″ or more, the odds of your getting work doing runway fashion are not good. There are exceptions – Kate Moss, for instance, is only 5’6″. But exceptions do not disprove rules. Modern haute couture show-fashion is designed to look good on tall, slender models (although this is changing.) If you aren’t tall and slender, the clothes won’t look good on you. If the clothes don’t look good on you, the designers won’t want you to wear them. That’s life – it’s nothing personal. Now the good news. Runway fashion is a tiny, tiny fraction of all the modeling work in the world. Think about it: which do you see more often, pictures of Miranda Kerr in a New York fashion show, or pictures of attractive people in everyday settings doing fairly ordinary things to try to get you to buy something or otherwise catch your interest? Commercial, print, casual and editorial work, let alone glamour and art photography, constantly require a huge number of interesting, attractive people of all shapes and sizes for modeling duties. And in today’s market-driven, targeted advertising world, every advertiser with a customer base – tall, short, fat, thin, ethnic, you name it – tries to appeal to its target demographic by using models who look like them, only maybe just a little more attractive. Unless you’re a Martian, whatever you look like, somebody out there is trying to get the attention of people who might identify with you, and will be glad to use your image to do it. Rejection is and unfortunate fact of life in modelling, so you’ve simply got to pick yourself up and move on. Even the most successful of models will have suffered from rejection at some point, so you need to learn to live with it if you want to succeed. Perseverance is key. Yes, you will get rejected, and yes it will happen frequently, and that’s why a thick skin is essential in modelling. Don’t let it get you down and always think of the next job and you’ll be well on your way to success. 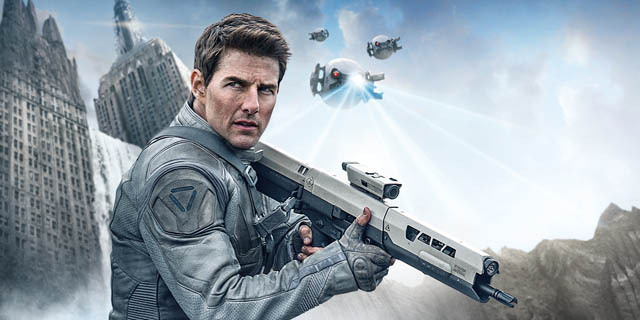 Many actors including Tom Cruise tried out for many TV commercials, and acted in as many theatre productions as possible. So get out and get busy, you have a lot of work to do. Get any parts – and be seen as much as possible. Now, I, personally, have never attended a modeling school. So this is just my opinion. But I have worked with a few models who have, and I have talked with many other models who have. So far as I can tell, what they do is try to turn you into a runway fashion model. Specifically, they teach you not to smile and to move in a certain highly controlled way. Runway fashion models are basically animated mannequins: the focus is supposed to be on the clothes, not the model, so it only makes sense that the model would try to make herself as unobtrusive as possible. And, if you want to be a runway fashion model and nothing else, that’s fine. However, as we already saw, this is a pretty limited area of modeling. And for any other area, these are exactly the traits you do not want. It is very difficult to take a good casual or glamour shot of a model who will not smile and who does not look comfortable in her environment! Modeling schools, at least the ones I am familiar with, are not greatly helpful in becoming a general model who is attractive to photographers. If you really want to learn to move and to project different presences, take some acting classes, martial arts or a dancing class. Some modeling schools also provide lessons on makeup and/or beauty regimens. You can learn all that from YouTube or blog sites much more cheaply, or go to a makeup class at a cosmetology school. Michelle Phan is the biggest make-up artist who posts make-up and beauty tutorials on YouTube. Okay, so then how do I get started? First, you need some photographs. Good photographs. Unless you are really stunning, really broke, and really impatient, don’t even bother with webcams or cheap consumer digital cameras. Likewise bad scans of 4x6 snapshots. And never, ever use a picture of yourself with somebody else in it, especially if you’re standing behind them. Photographers find this maddening. We want to see you. If you have a friend who has a good digital camera, that’s a start. You need, at a minimum, a picture that shows your face well and a picture that shows your general body shape well. Find a simple, uncluttered background. Make sure you are well lit and none of your face is in shadow. Using a friend to take your starter pictures is okay if it’s all you can manage, but it’s better to find an experienced photographer. If you can afford it, hire a professional to do two or three “looks” for you. (A “look” is a set of pictures with a given outfit and makeup combination.) Pick the professional by reviewing their work, and not just whatever they have hanging in the studio window. Anybody can get lucky once. You want to look at their portfolio and see consistently good output. If you can’t afford a professional, find someone who will work with you “TFP.” (Time For Prints) This is an arrangement where you get free prints and/or digital pictures and in exchange, the photographer gets photographs they can use in their own portfolios – it’s a trade. You should still find a photographer who can produce consistently good pictures, just as if you were hiring a pro. Some amateurs are amateurs only in that they don’t make a living with photography and have the equipment and expertise to provide excellent pictures. Feel free to ask the photographer to review a handful of photos. Quite oftent I like to review photos via the camera display together with my models several times during a shoot This is also very useful while in costume to ensure everything is in place. Many photographers, models, makeup artists, and so forth do shoots on a “TFP” basis. It’s essential to get a good eight hours of sleep before a photo shoot or runway show to avoid unsightly bags under your eyes and ensure that you have the energy necessary to do your best. Another helpful tip is to keep yourself well hydrated in the days leading up to the job. Don’t eat a five-course meal right before a shoot or show. In fact, some experts suggest not eating at all within three hours of the gig. If you’ve got dark circles or bags under your eyes, make sure you avoid any caffeinated drinks, get eight hours sleep and drink water before the day of the photo shoot. Also eating less than three hours before a photo shoot is a no-no. I want to be a “real” model, not an Internet model. By “real” model, you probably mean that you want to do print and/or television work, or that you want a more involved marketing strategy than getting on an online portfolio site. Let me note that lots of models who make their living from modeling get a great deal of their work from online marketing, and you can certainly be a “real” model and have an online presence. In fact, it’s hard to be a real model and not have an online presence these days. And doing online work is a good way to build up your portfolio. If you want to use more conventional marketing approaches, then you’ll need to find an agency. There are lots and lots and LOTS of modeling agencies. Some are good and some are indifferent. Ask around. See who represents the models in your area. Check for reviews on both Facebook and Google Search. If an agency wants money from you, other than a fee for pictures, that’s a big blinking warning sign. Clients pay agencies – models don’t pay agencies. Misa Campo made her transition into the modelling world after being spotted bartending in Montreal. Now she’s become one of the most popular models for magazine spreads, car shows, and—of course—the internet. An agency isn’t the only option. A well-organised and consistent social media image combined with some active networking with photographers, makeup artists and labels can be as effective as an agency. Social Media, particularly Instagram allows a client to see another layer of a model; their personality, candid shots with friends, their lifestyle and interests, and what they look like on a day to day basis. Social media is being used, whether you like it or not, by clients to look up a model before they consider booking that model for a shoot. So in a way, Instagram is now an extension of portfolios. If you have further questions, or comments on this article, please feel welcome to leave your comments below, or via contact page.